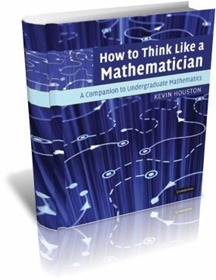 Hello, I'm Kevin Houston, a mathematician in the School of Mathematics at the University of Leeds. I am currently the Education Secretary of the London Mathematical Society and so chair the Education Committee. My research has traditionally been in Singularity Theory, a long and venerable subject dating back to Newton. Recently I have been working in Discrete Differential Geometry, in particular recent ideas surrounding generalizations of the discrete Laplacian. 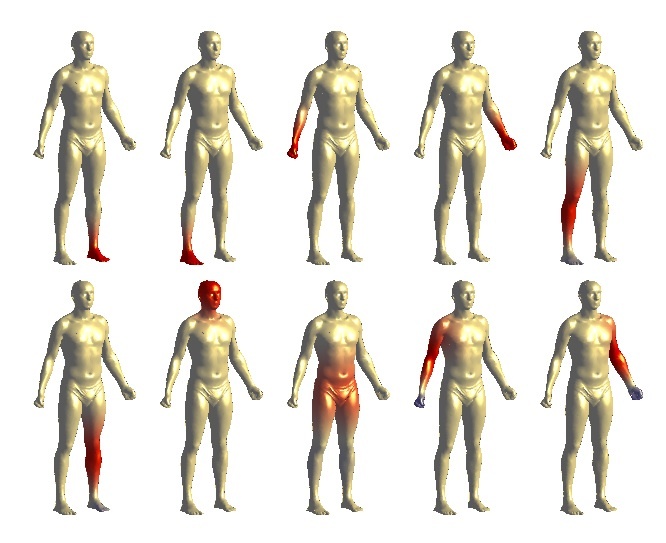 My first paper in this area is on compressed manifold modes (CMMs). The Laplace-Beltrami operator on a manifold gives eigenfunctions that are non-zero on a dense subset of the manifold. In certain situations, functions that are zero on most of the manifold but are non-zero on important features are useful. This is what CMMs give us, see the figure on the right for example. In addition to giving a natural ordering of the modes and making some other practical observations, I propose an algorithm that requires on average 47% fewer iterations than the algorithm proposed by Neumann et al who were following in the footsteps of Ozolins et al. See my publications for more information. My main teaching interest is encouraging (read forcing) students to think, hence the title of my best-selling book, How To Think Like a Mathematician. 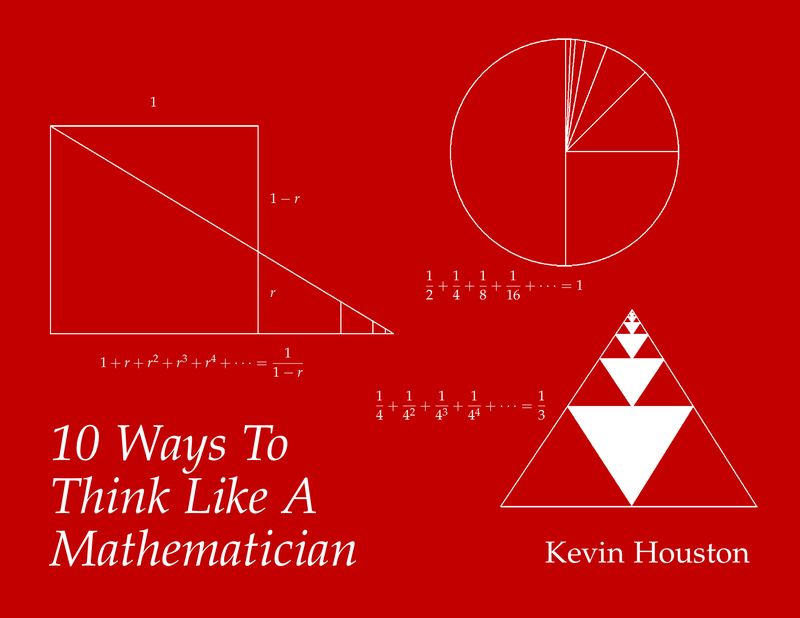 You might be interested in this taster for it: a free booklet called 10 Ways To Think Like a Mathematician.